Are you 18-30? 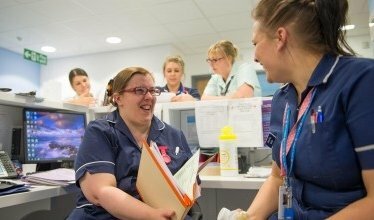 Looking for work in healthcare? This 4 week training and work experience programme helps you to develop valuable skills and experience needed for working within the NHS. The programme will consist of 2 weeks of interactive training followed by 2 weeks work- experience. A variety of placements are available: healthcare, Admin, Catering and housekeeping. Receive valuable training in areas including Customer Service, communication, patient record keeping/confidentiality, team work and employability skills. Achieve a FREE qualification in Emergency First Aid and Basic Food Hygiene Certificate. Benefit from 6 months mentoring support to plan your next steps.